By turning off tracking systems on ships, the North Asian nation was able to carry out illicit ship-to-ship petroleum transfers, an activity that has “increased in scope, scale and sophistication”, media quoted the leaked report as saying on Friday. It also said “prohibited military cooperation with the Syrian Arab Republic has continued unabated”. “[North Korea] has not stopped its nuclear and missile programmes and continued to defy Security Council resolutions through a massive increase in illicit ship-to-ship transfers of petroleum products, as well as through transfers of coal at sea during 2018,” it said. UN experts were shown a July 13, 2016 letter from a Houthi leader inviting the North Koreans to meet in the Syrian capital, Damascus, “to discuss the issue of the transfer of technology and other matters of mutual interest”. 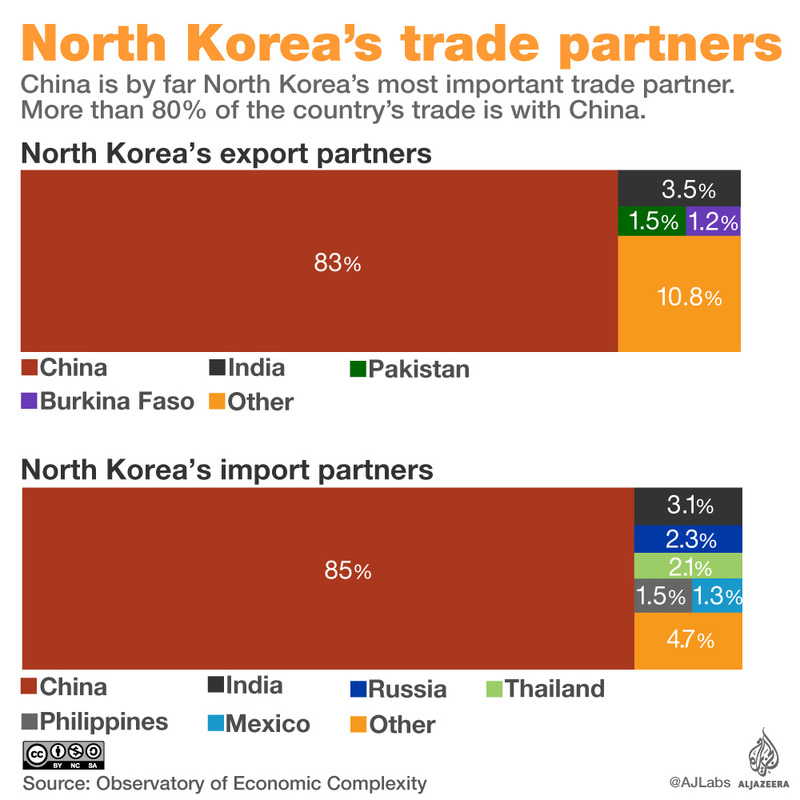 North Korea also “attempted to supply small arms and light weapons and other military equipment via foreign intermediaries” to Libya and Sudan, said the report. US Secretary of State Mike Pompeo said on Saturday the process of ending North Korea’s nuclear programme would take time, but he was optimistic it would be done. “I’m optimistic that we will get this done in the timeline and the world will celebrate what the UN Security Council has demanded,” Pompeo said on the sidelines of a security conference in Singapore.. In November 2017, the country said it had successfully developed a new intercontinental ballistic missile (ICBM) capable of reaching the United States’ mainland. Under the agreement, the US committed to provide security guarantees while North Korea “commits to work towards complete denuclearisation of the Korean Peninsula”. North Korea’s foreign minister on Saturday reaffirmed his country’s resolve to implement the deal but said he is increasingly concerned by US attitudes. “The DPRK stands firm in its determination and commitment for implementing the DPRK-US joint statement in a responsible and good-faith manner,” said Ri Yong-ho, referring to his country by its official name, the Democratic People’s Republic of Korea. A foreign ministry statement quoted Ri as saying “impatience is not helpful at all for building confidence”. “Especially advancing unilateral demands will further deepen mistrust instead of reviving trust,” said Ri. Meanwhile, the US State Department said Trump’s reply to Kim’s latest letter was hand-delivered to the North’s top diplomat by Pompeo. Department spokeswoman Heather Nauert would not address the content of Trump’s letter to Kim. The White House said earlier in the week that Kim had sent a new correspondence to Trump, but did not specify what was communicated.